Stephen W. Terrell's (MUSIC) Web Log: TERRELL'S TUNEUP: Best Album of the Year Already? This year is not even half-cooked yet, so it’s much too early to be declaring an album of the year. But from my very first listen, I knew in my heart that Floating Coffin, the latest CD by Thee Oh Sees,would place high in my annual Top 10 list. Heck, I might have even realized that by the end of the first song, the blaring rocker “I Come From the Mountain,” with its rubbery guitar breaks. This is a San Francisco group that’s been around in one form or another for a decade or so (including a brief period when it used “The” instead of the garage-rock signifier “Thee”). 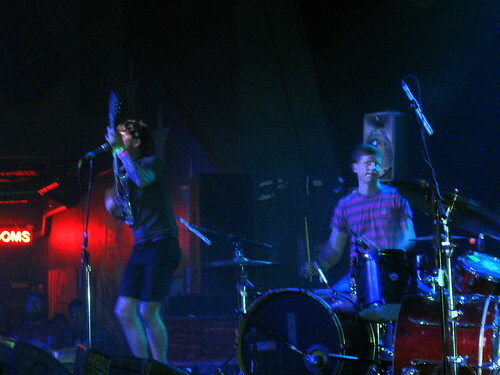 Starting out as a side project for singer and guitarist John Dwyer, who sometimes used Orinoka Crash Suite as a band name on a few of his recordings, Thee Oh Sees evolved into Dwyer’s main musical concern. While Dwyer is clearly the frontman, keyboard player Brigid Dawson also sings — and on Floating Coffin, she’s handling a bigger share of the vocal duties. This is a good thing. 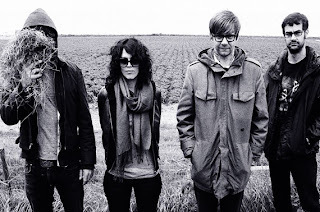 Although Thee Oh Sees is considered a garage band, that’s just one side of it. You could consider it a psychedelic band as well, but that certainly doesn’t cover it. Sometimes the group’s music reminds me of the sprawling noise rock of Yo La Tengo. 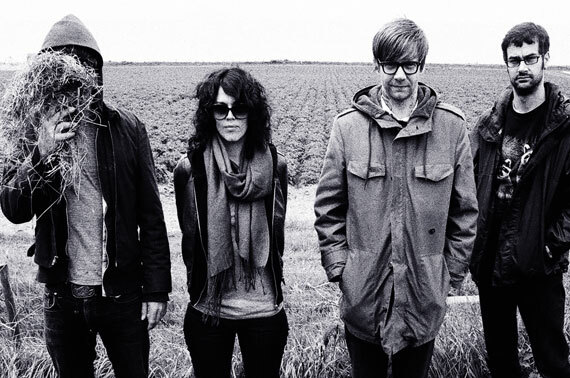 I also hear echoes of New Wave in Thee Oh Sees’ sound. Had the group been around in 1984 or so, it would have fit in perfectly on a bill with the Talking Heads. It’s too melodic to be considered punk by most conventional definitions, and it’s too weird to be termed pop. 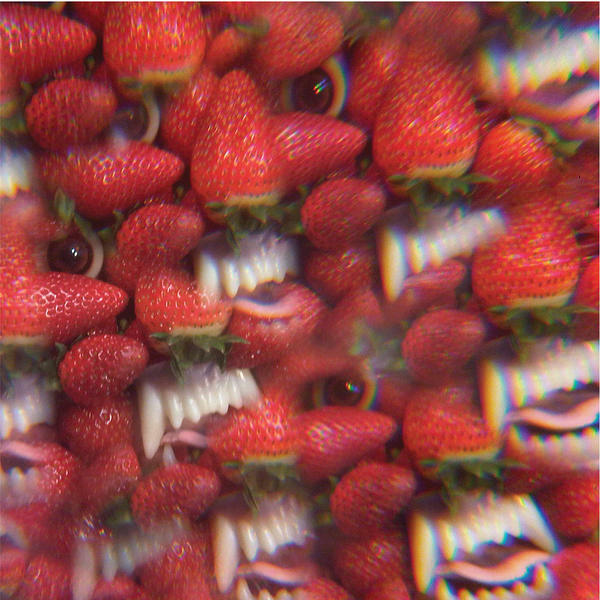 Every album I’ve heard by Thee Oh Sees is different from the last. For instance, I was disappointed in the group’s previous effort, Putrifiers II, which was released last September. Despite punchy rockers like “Lupine Dominus,” Putrifiers had too many slow dreamy numbers for my taste. The group is so prolific that’s it’s pretty safe to say that if you don’t like one album you just have to wait a minute. Floating Coffin is a rocker. Most of the songs have happy, catchy melodies that make you want to sing along. And then there’s “Toe Cutter — Thumb Buster,” with its tortured guitar introduction that Neil Young might appreciate and its happy little melody and easygoing tempo. To be honest, as with many Thee Oh Sees songs, I can’t really make out the lyrics (this is one of the few faults of this band). The song’s official video tells a story of a serial killer putting a body in the back of his vehicle. He keeps having to kill witnesses who stumble on his crime scenes. It’s funny in a black-humor, Dexter sort of way. One of the only mellow songs here is the viola-driven closer, “Minotaur.” It’s the best tune about the mythological creature since The Incredible String Band’s song from 1968’s The Hangman’s Beautiful Daughter. There’s also a fairly gory video for this one (there’s always plenty of blood spatter in those spooky old myths) starring members of the band. They didn’t go broke on the costumes for this video, but it does enhance the song. So yes, this is my favorite album of the year so far. Maybe another one will come along and knock it off its top position — it may even be by Thee Oh Sees.